9 regions of the modern world fitting in the ancient Pangaea continent with a fun online geography puzzle. "Pangaea Online Puzzle" is a free online knowledge level game, about the ancient continent of Pangaea. Drag and drop the part of Pangaea in their correct places. A small educational game for desktop computers, laptops and tablets, which may be played in the web browser. The Geography Knowledge Board include 9 modern regions to play with. The game is part of the Interactive World Maps educational tools. Minute to win it game. Interactive map of Pangaea 335 million years ago. You may also like to play Gondwana Puzzle and Laurasia Puzzle. Where are modern continents situated in Pangaea? Is Pangaea the first super continent? How to play Pangaea Online Puzzle. the pictures will go back in the hand, until placed in the right place. There is a small counter to the bottom right. It is, as always, used only for evaluation in fun classes and will not affect the knowledge level achievement. 9 tries for "A" and more than 18 tries for "F". Know the parts of the Pangaea continent and get +1 Knowledge Level. Pangaea or Pangea was a supercontinent that existed during the late Paleozoic and early Mesozoic eras and is by far the second supercontinent to be formed and broke apart. It assembled from earlier continental units approximately 335 million years ago, and it began to break apart about 175 million years ago. In contrast to the present Earth and its distribution of continental mass, much of Pangaea was in the southern hemisphere and surrounded by a superocean - Panthalassa. Pangaea was the most recent supercontinent to have existed and the first to be reconstructed by geologists. Pangaea is the 10th supercontinent. 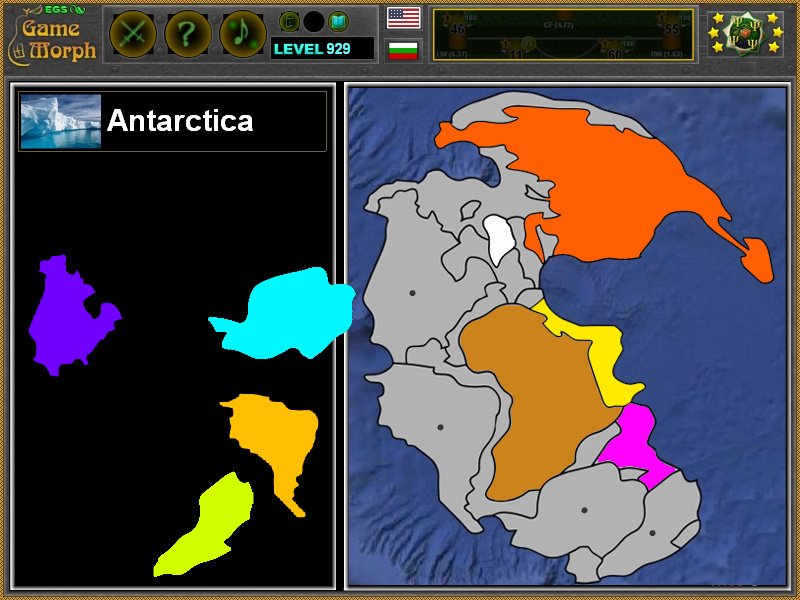 For the order of the supercontinents formation timeline, check the Continents Drift Order game. Labels: Mosaic Games , Puzzle Games , Flash Games , Geography Games , Education Games , Free Online Games.